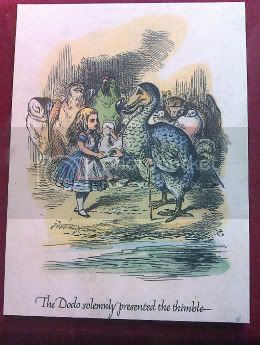 On our recent trip to the "Booth Museum" in brighton where I was looking to be inspired by some Victorian images of flora and forna, I was surprised to see some of the original drawings from Alice in wonderland. 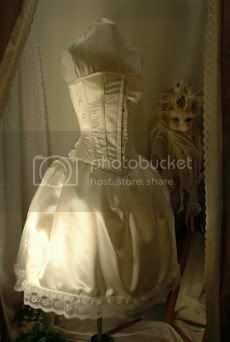 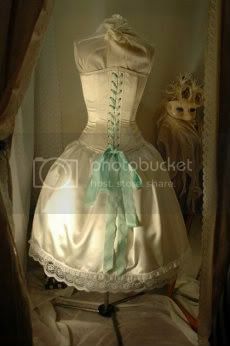 I was so taken with the pictures that I began work on some dresses. 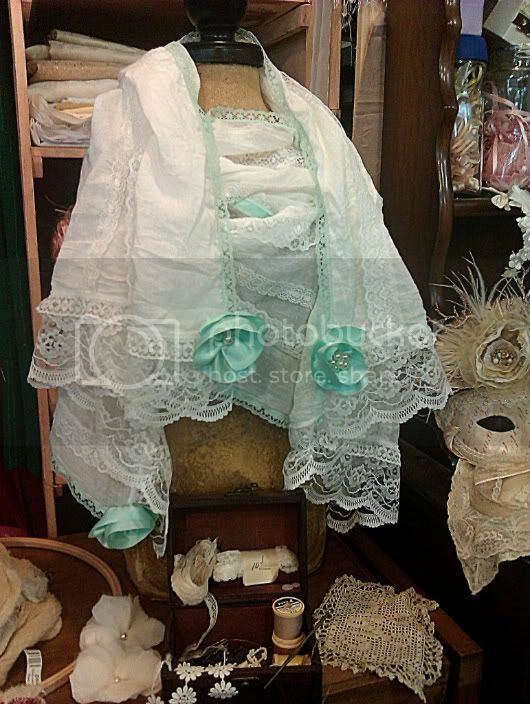 The first one of which was an ivory satin with vintage lace trims. 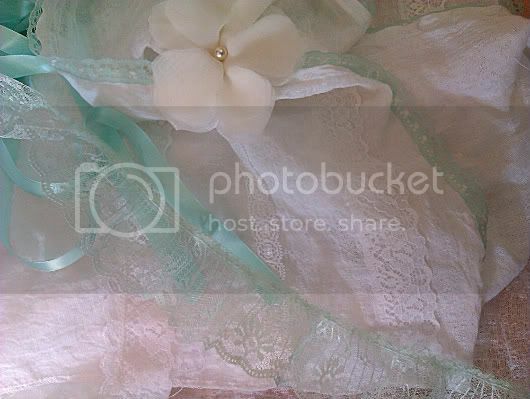 Click on the images to see the product page. 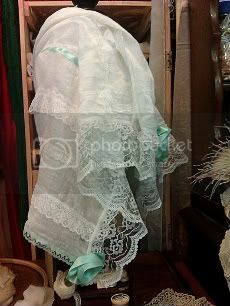 Before I had finished the dress, because we are so often asked for boleros and pashminas, I had started to collect pieces together for a matching garment. 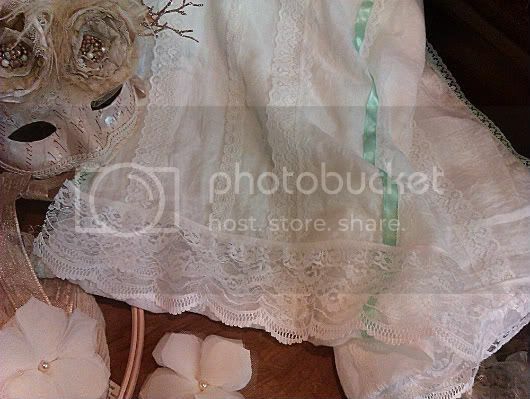 I selected a fine weave cotton for the main fabric as it had just the right weight and texture that I wanted, then I started to work the vintage laces in a similar way to the cream and blue ones I made for my bridesmaids because I really like the effect when it is finished and on. 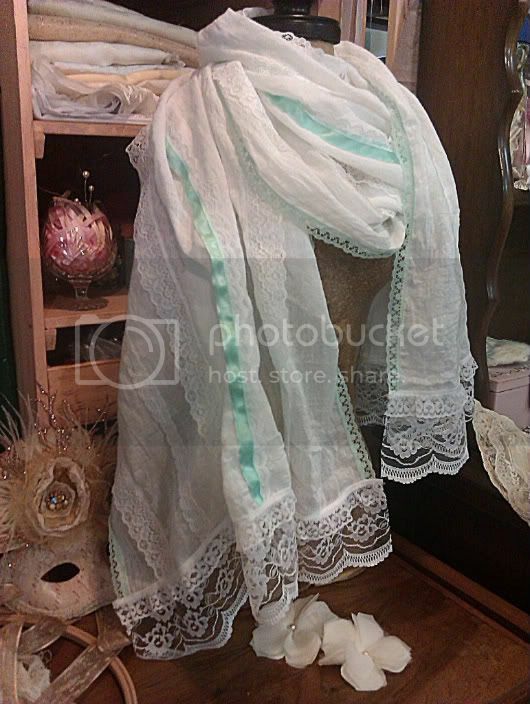 In total there is about 22 meters of rare and limited stock vintage laces worked on to this pashmina. 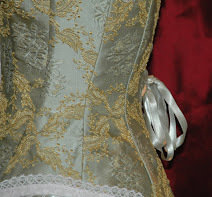 When the laces were attached, there was still 'something' missing, a detail...beads, bows? 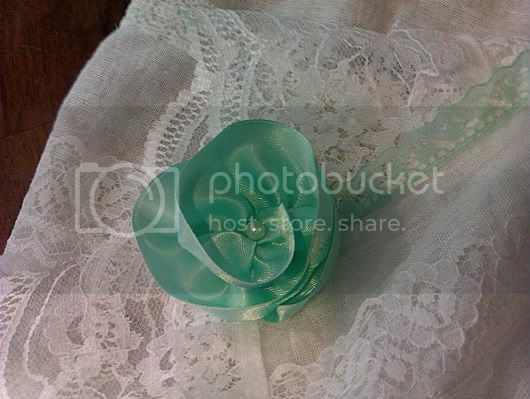 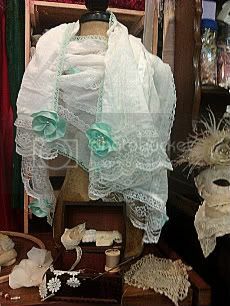 Even though I had worked some narrow mint green satin ribbon in with the lace, I didn't feel that there was enough that tied the pashmina to the dress so I bought the wider ribbon that I had used for the corset to see how I could work that in. 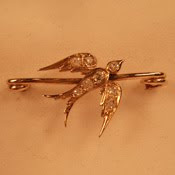 Click on the images to see the product information page.